The Deep Chorus is a new free Max for Live device from Amazing Noises. It can turn a simple sawtooth waveform into a Super Saw, and give depth to any sound. It is a free device reserved to our Newsletter subscribers. To get it (and all the future free devices we will add). 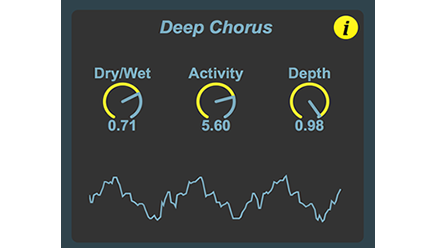 The Deep Chorus is a new free Max for Live device from Amazing Noises. It can turn a simple sawtooth waveform into a Super Saw, and give depth to any sound.